The Chateau Brantome is a wonderful location for a large luxury chateau holiday or a splendid wedding or corporate venue in a French castle! With 17 bedrooms and 17 bathrooms all guests have total privacy. Hotel services such as breakfast, dinner, private chef and daily housekeeping available. Sleeps 34, but additional beds enable to comfortably sleep up to 48. Great wedding venue! 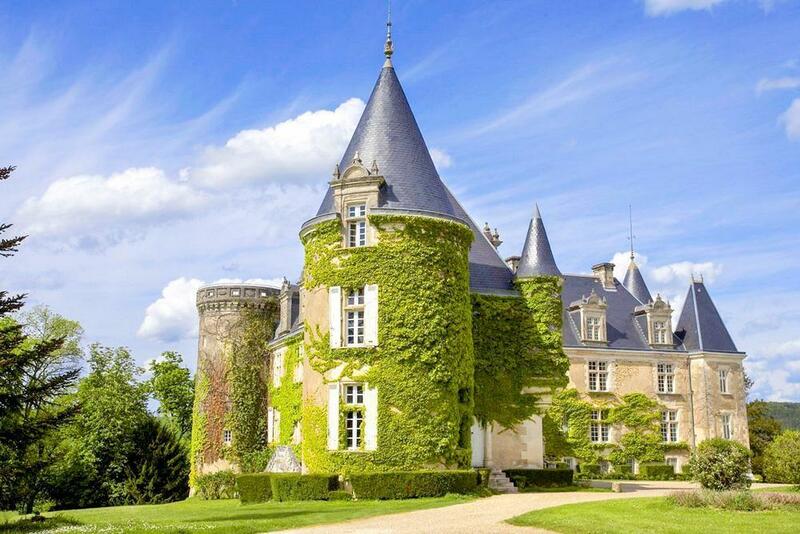 This magnificent 15th Century Perigordian Chateau is set in almost 20 acres of grounds. Discover all the charms of yesterday in one of the most beautiful chateaux in Perigord. The Chateau offers 17 unique and elegant, lounge and suite bedrooms sleeping up to 34 guests. The addition of extra beds in some of the bedrooms allows the chateau to sleep up to 48 guests comfortably. Enjoy a Perigordian feast in the stunning half-paneled dining room, sip rosé wine and marvel at the views on the terrace or lounge around the outdoor swimming pool. All the usual hotel services are included in the rental price. Can be rented for 2, 3 and 7 nights - please enquiry for non-week-stay rates. For parties of 35 to 48, please add €25 per person per night to the 34 person price. Chateau Brantome is the ideal location to celebrate any special occasion. In this magical place time seems to stand still. It is run as a hotel but you can book it for exclusive use for a special holiday, celebration or wedding. The kitchens are closed to guests, so there's no self-catering option here. Guests staying here are kindly required to dine in the hotel's restaurant for one in every two nights they stay here. You will be sure to try some amazing Perigordian food!